Home >> Airlines >> Middle East Airlines >> Emirates >> Emirates may suspend A380 operations to Mumbai? Five minutes after we published our original story, an Emirates spokesperson sent us this statement [bsu_quote cite=”Emirates spokesperson”]Emirates will continue to operate its iconic A380 aircraft on the Dubai-Mumbai route for the remainder of the summer 2014 timetable as planned, as flight numbers EK500/EK501. Details of the airline’s winter timetable which is due to commence on 26 October are still being finalised and further information will be shared later this month. [/bsu_quote] For the information of readers we had waited over three hours before publishing the story. Just about three months after it started its first scheduled Airbus A380 super-jumbo service to India, gulf major Emirates may suspend its lone A380 flight to India. The Dubai-based airline, the largest operator of the A380, had up-gauged its EK500 and EK501 flights from July 21 to an A380. 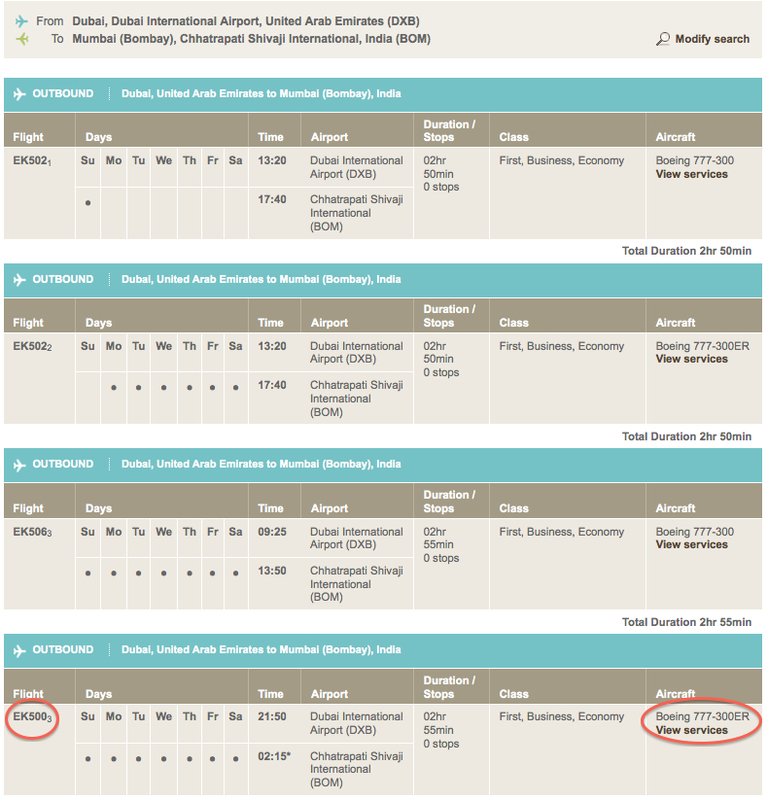 From the winter schedule which commences October 26, 2014, the airline’s website shows the flight being returned back to the earlier Boeing 777-300ER service. Emirates’ A380 to Mumbai was configured with 14 private first class suites, 76 business class lie-flat seats, and 399 economy class seats which are 18 inches wide. The Boeing 777-300ER is no slouch. 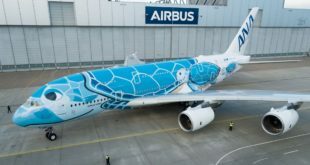 It has eight private first class suites, 42 business class angled lay-flat seats, and 304 or 310 economy class seats which are a narrow 17 inches in width. The move is extremely surprising considering the service is just three months old. While the airline has still not responded to our request for a comment, the natural assumption is that Emirates is not achieving the required loads, however, the reason could also lie elsewhere. Stay tuned for our next story. Next Lufthansa to commence A380 operations to both Mumbai and New Delhi this winter?